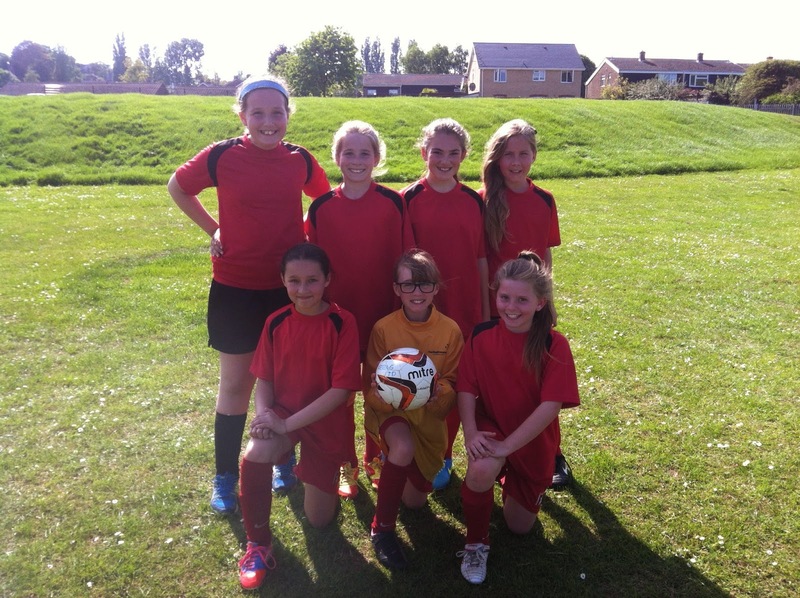 On Monday 19th May 2014 the footy girls (Me, Ellie ,Holly ,Mia ,Amelie ,Romilly and Millie) went to St James school to play against St James school's football team .It was a hard match despite that, we still won 3-0. There was some great saves by our goalkeeper Mia and some great goals! And there were some excellent crosses and headers! On the other hand the other team still had some great chances but our goalkeeper saved them all, it was a great match! And I would like to thank Mr Hassard for taking us to St James school and I would like to thank all the girls for playing and signing up! Go Girls! Congrats Libby and the Footy Mad Girls. Website Reporters Summer 2014 - Meet the team! Our New Play Equipment - Thank you lovely PTA!